I remember very well lead singer Boy George causing a storm when he first appeared on Top Of The Pops. His unique look had everyone guessing whether he was a man or a woman - he was certainly the talk of the school playground! Of course, he is still a larger than life character and is never out of the headlines. He was in the newspapers again in 2008/2009 for "kidnapping a rent boy" and was sent to jail! 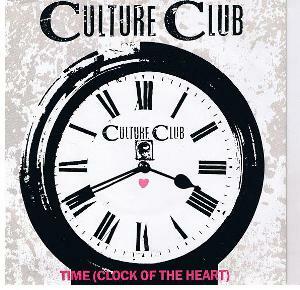 Culture Club's first album, Kissing To Be Clever, was released in 1981, and between 1982 and 1986 they had amassed ten Top 40 hits in the US, most of which went Top 10. In the British charts the band had seven consecutive top five hit singles between 1982 and 1984, followed by three more Top 40 hits over the next two years. The band also had subsequent hits in the UK during a reunion period of 1998–2002, where they scored a No.4 single with I Just Wanna Be Loved and a No.25 placing with Your Kisses Are Charity. The band released four studio albums during the 80s, with Colour By Numbers being the most successful and reaching 2 x Platinum sales in the UK. All of the first three albums reached Platinum status, and the fourth album From Luxury To Heartache achieved Silver in the UK. 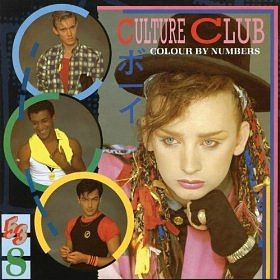 Culture Club "Kissing To Be Clever"
Released in 1983, Karma Chameleon was the second single to be lifted from the highly successful Colour By Numbers album, and reached No.1 in sixteen countries including the UK and U.S. It was voted as best British single as the 1984 Brit Awards. That famous harmonica solo was played by Judd Lander who was in the 60's band The Hideaways. Released on 1st September 1982, this song gave the 80s band their first commercial success, and it reached No.1 in the UK in 1983. Lifted from the album Kissing To Be Clever, previous single releases, White Boy, I'm Afraid Of Me and Mystery Boy failed to break into the Top 40. What I remember most about this song, though, is the Two Ronnies comedy version "Do You Really Want To Squirt Me". This video clip features Boy George with Culture Club performing Do You Really Want To Hurt Me live on the Late Late Breakfast Show in 1982. The single was actually released during September 1982, topping the charts in numerous countries including the UK. 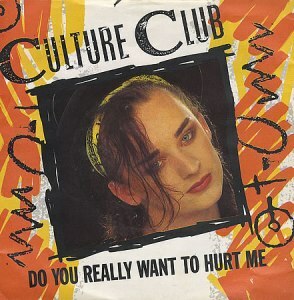 The song featured on Culture Club's debut album Kissing To Be Clever, and was the band's third single overall, although the previous two singles, White Boy and I'm Afraid Of Me were only very minor hits. It was actually support by Radio Two and an appearance on Top Of The Pops (the fact that no one could fathom out whether George was a man or a woman created newspaper headlines) that really helped the single to take off. In fact, the band have Shakin' Stevens to thank after he cancelled his appearance and the band took his place! Kissing To Be Clever was an album that sounded so very different to everything else in the charts during the early 80s. Boy George's unique and controversial fashion sense created headlines, while the well-crafted, catchy songs and George's soulful voice helped to ensure the band's success. Including an array of musical styles from from rap to reggae, this was a very fine debut album indeed. This upbeat, Motown style track was the lead single from the band's second album Colour By Numbers and reached #2 in the UK, #10 in the U.S. and was also a Top Ten hit in many other countries. The lyrics are about the church's views on homosexuality, and the song features the backing vocals of British singer Helen Terry. The third single from Colour By Numbers was entitled Victims, and is one of the finest songs by the British band. It peaked at #3 in the UK singles chart after being released in December 1983. 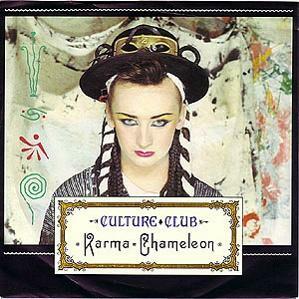 The song was the fifth consecutive top five hit for the band and was the follow-up to Karma Chameleon which had reached #1 in almost a dozen countries. Both songs featured on the album Colour By Numbers. 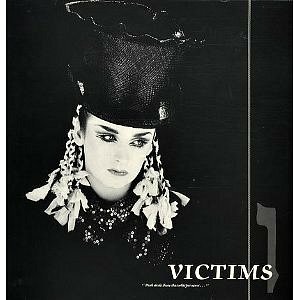 Victims was never released in the US, Canada or Japan as, apparently, the Epic record lable thought it would be too depressing for these countries - what does that say about us Brits? We're all miserable gits! 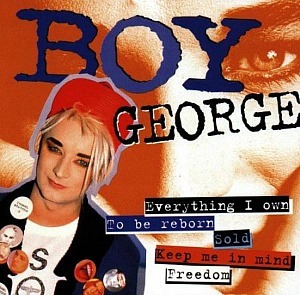 The lyrics reflect Boy George's relationship with drummer Jon Moss, although this was not known at the time. The band's fourth and final single from Colour By Numbers was "It's A Miracle". During the 80s, Culture Club achieved success with ten Top 40 hit singles in both the UK and USA, although not all of them were the same releases. Despite being slated by some critics for its weak lyrics, The War Song was Culture Club's seventh top five hit in the UK and peaked at #2. It was kept off the top spot by Wham's Freedom. The song was also popular across the globe and reached #17 on the Billboard Hot 100 in the US and also hit the top three in Canada, Italy and Australia. This was the first single to be lifted from the band's third studio album Waking Up With The House On Fire. The band only managed one more hit single from the album with The Medal Song which peaked at #32 in the UK. 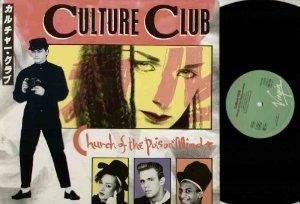 During the 80s Culture Club managed to achieve eight Top 10 hit singles in the UK and six in the US.